An oil and gas lease is a lease, not because of its name, but because it is a transfer of a part of an interest in land for a specific period of time, or “term,” in exchange for the payment of rent, royalties or other standard of value. In other words, it fits the classic definition of, and contains the common characteristics of a lease. In an oil and gas lease, mineral rights/interests of the “dirt” are leased instead of the actual “dirt” itself. Both the dirt and the oil and gas underneath the same are “parts” of real property that can be leased. As a transfer of property, the lease, like a deed contains certain written and unwritten (implied) covenants. A deed’s covenants, for example include the covenant that the grantee shall have quiet possession, that the grantor is lawfully seized (in fee simple) of the property and a covenant that the grantor will execute such further assurances of the land as may be requisite. A typical lease of real property contains the implied (sometimes express) covenant of quiet enjoyment (or possession); and oil and gas leases are held to contain the implied covenant of reasonable development. An oil and gas lease is also a contract because it meets the following, legal definition of the same: “an agreement between two or more parties creating obligations that are enforceable or otherwise recognizable at law.” For an oil and gas lease to be an enforceable contract, the following general, contractual requirements must be present: (i) meeting of the minds; (ii) consideration; (iii) capacity; (iv) legality; (v) definiteness; and (vi) the lease must be in writing. The significance of an oil and gas lease also being a contract is that the general law of judicial contract interpretation applies. Namely, that courts will uphold language in commercial agreements, unless it is contrary to statutory law or public policy (and will not add language to the contract). As the reader may recall from other “Watch Your Language” articles for this Blog, because of this judicial deference to “commercial language”, you must say what you mean, precisely, or a judge will decide what you meant. Seven individual landowners (the “Landowners”) hold interests in approximately 74 acres of land in Washington County, Ohio. The land is subject to an oil and gas lease (the “Lease”) entered into in 1980, between the owners of the property at that time and Collins-McGregor Operating Company (later assigned to Winston Oil Company). Collins-McGregor and Winston were the appellees in this case and will be referred to hereinafter as the “Oil and Gas Companies”. According to the Lease, “[T]he sole and only purpose [of the lease is to permit] mining and operating for oil and gas and laying pipe lines, and building tanks, powers, stations, and structures thereon, to produce, save and take care of said products.” In return for permission to mine the land, the Oil and Gas Companies committed to make royalty payments based on the amount of gas produced from the land and to deliver a portion of the oil produced from the land to the Landowners. The Lease further provides that it “shall remain in force for a term of One (1) years from [the effective] date, and as long thereafter as oil or gas, or either of them, is produced from said land by the lessee.” However, other than the specific term and general purpose, the Lease contains few other material terms. The Lease is conspicuously silent as to details of drilling and production. For example, the Lease contains no requirement or other information re: the specific number of wells or the planned depth of any well. The Lease also does not disclaim any implied covenants (such as the implied covenant of reasonable development). Pursuant to the Lease, a well was drilled in 1981, and has produced oil and gas in paying quantities since then from a formation called the Gordon Sand. As of the date of the opinion, however there had not been any production from the land at any depths below the Gordon Sand, where the Marcellus and Utica formations are located—(the Oil and Gas Companies claimed that they failed to explore whether production can be obtained from those deep formations because they did not have the equipment or financial resources required to do so). In November of 2015, the Landowners filed suit against the Oil and Gas Companies alleging that they breached several implied covenants, and improperly failed to explore or drill for oil at depths below the Gordon Sand. The Landowners sought a judgement declaring the portion of the Lease covering depths below the Gordon Sand terminated, so that the Landowners could presumably contract with an alternative oil/gas company willing to drill into the Marcellus and Utica formations. Among the implied covenants that the Landowners claimed the Oil and Gas Companies breached are the implied covenant of reasonable development and an implied covenant to explore further. The Oil and Gas Companies described the judgement sought by the plaintiffs as “horizontal forfeiture” (i.e., forfeiture of the right to drill to a particular horizontal layer or formation beneath the surface) but moved to dismiss the case, arguing that Ohio law does not recognize the implied covenant to explore further, or the remedy of horizontal forfeiture. The trial court agreed with the Oil and Gas Companies and dismissed the case, holding that under the plain terms of the Lease, the still-productive well drilled in 1981 was “sufficient to hold the Lease across all acres and at all depths.” The Fourth District Court of Appeals affirmed, holding that Ohio law neither recognizes an implied covenant to explore further, nor partial, horizontal forfeiture of oil and gas rights as an available form of relief. The Landowners then applied to the Ohio Supreme Court. 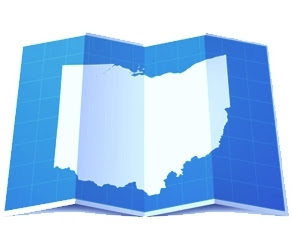 Arguing before the Ohio Supreme Court, the Landowners cited several 5th appellate district decisions that recognized the existence of an implied covenant to explore further. The Oil and Gas Companies countered that while cases from one appellate district in Ohio may have recognized such a covenant, none actually applied the covenant. Moreover, the Oil and Gas Companies argued that there was no need to recognize a new, state-wide implied covenant because the covenant of reasonable development provides sufficient protection for landowners. Furthermore, the Oil and Gas Companies argued that the plain language of the Lease contained no development details, no new covenants and no requirement to partially forfeit the lease, so it was not the court’s job to do any more than interpret the contract as written, and apply the only, universally recognized, implied (oil and gas lease) covenant; the covenant of reasonable development. The court also agreed (quite emphatically) with the Oil and Gas Companies’ contract argument; stating, that the proposition of the rights and remedies of the parties to an oil and gas lease being determined by the terms of the written instrument was “uncontroversial” and “what this court has recognized since 1897.” The court reasoned that if the parties intended there to be specific drilling requirements beyond “reasonable development”, they would have specified same in their oil and gas…contract. However, the court noted that “the lease [in Alford]does not contain a disclaimer of implied covenants, nor does it otherwise address whether any specific number of wells must be drilled or the depth to which any wells must be drilled. As such, the lease, according to the Ohio Supreme Court was subject to the implied covenant of reasonable development, but no other covenants, express or implied. Watch Your Language with oil and gas leases, and say what you mean, precisely, or a judge will decide what you meant. While oil and gas leases are often convoluted, and written in small font, “standard” forms; they are contracts, not holy tablets of stone, and accordingly, are negotiable. If you are expecting certain formations to be drilled, say so. If you want a minimum of wells drilled on your property, spell that out. Certainly, arguing for these types of clauses does not guarantee they will be included in your lease, but failing to include them before you sign will almost always guarantee that they will not be part of you contract.